On a monthly basis, The Book Designer website hosts a competition to give ebook cover design awards. Hundreds of authors submit their work for evaluation every month, suggesting there is something to be said, whether to learn from the success or failings of others or discover which designers are the most successful and thus worth hiring for the creation of your cover. 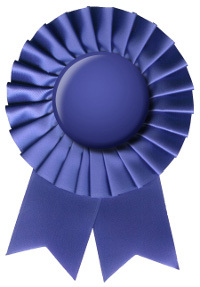 It is particularly useful for eBook publishers and authors, since winners are awarded with a gold star and the right to display special badges on their websites indicating the merits of their work to potential buyers. The results are worth viewing above all by those who work in the industry (from eBook retailers to designers and publishers) and are trying to make a name for themselves in the eReading world. They also make interesting viewing for web browsers who simply want to get an idea of what makes or breaks an eBook cover. In this article, we will use the winning covers as a basis for understanding what an effective cover entails by browsing the competition entries of the past few months. The first reason that it is worth following these awards is to discover which designers produce the most successful covers. On the whole, gold stars are generally awarded to covers created by professional designers rather than the authors themselves who are not specialized. This is not to say that “do-it-yourself” covers always fail to match up to those that are professionally designed. For example, in November 2012, Tracy R. Atkins submitted a winning entry, Aeternum Ray, designed by the author herself. This cover successfully uses a graphic that reflects the technological and virtual themes of the novel. 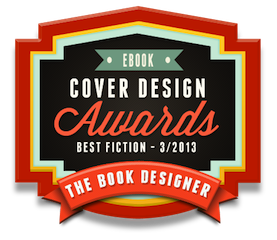 As well as indicating which designers to hire and whether to employ one at all, the eBook cover awards are also useful for discovering common features that make effective covers. To begin with, colour, typology and font size should be carefully selected. For the cover of The Last Supper, Ana C. Nunes effectively employs a unique font that echoes the scary nature of her work without being clichéd. On the other hand The Hand Man’s Wife by Artemis Greenleaf uses an overly pale blue colour for the title that is lost in the dark background and barely legible. Selecting images is also an important area of eBook cover design judging by these awards. Observe the example by a November 2012 winner – Laura Rahme – who submitted The Ming Storytellers designed by Caryn Gillespie. Here, the artwork evokes well the mystifying and oriental backbone of the novel with a dark blue colour scheme and a sensual female representation that channels the main protagonist. This competition also provides examples of what does not work when creating an eBook cover. For example, overcrowding proves to be a common issue in eBook cover design. The illustration and typography should converge cohesively and it is better to opt for a single, central image rather than overloading the screen with several pictures. Six Seconds by Kit Foster testifies to this fact, since the congestion of shapes and effects simply results in an aggressive effect that is neither appealing nor enticing and thus unlikely to be profitable. Emily Anne: A Ghost’s Story by Don McNevin also reminds us that it is important to bare in mind that an eBook cover will be most likely downsized into a thumbnail format and thus reproducing the print cover is not always advisable. Overall, it is worth following these awards to both get ideas on how to design your eBook cover, which designers to use if you intend to use one and how to match illustrations with typography. Although it is possible to get an idea of the best eBook covers by browsing eReading stores such as iBooks or Amazon.com, this can be time-consuming. On the other hand, The Book Designer website eBook cover awards has everything there for you to see at the click of a mouse.